Near to the mountains clouds from ‘mountain waves’ are common. Mountain waves are waves in the atmosphere caused by strong winds blowing at near right angles to the ranges. See this blog post on turbulence for more info. Lower clouds created by ‘trapped mountain waves’ form classic lenticular clouds, shaped like distinctive folds or flying saucers. The word lenticular comes from the Latin word lens, and roughly translated means lentil-shaped. Although lenticulars are more common over taller mountains, which reach up into stronger winds aloft, they can sometimes be seen on smaller hills and ranges. 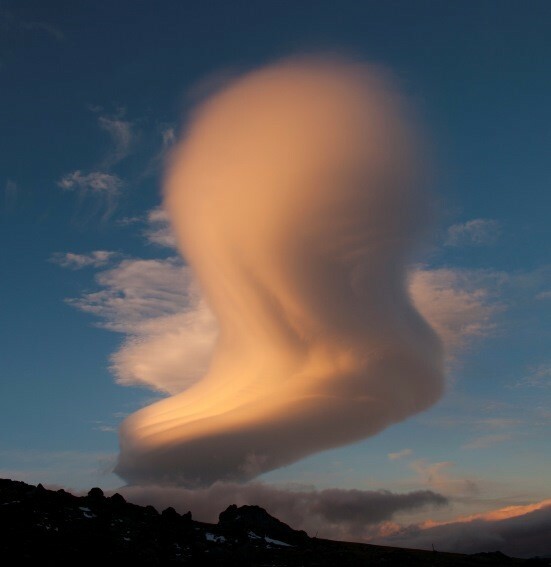 The winds in New Zealand most often come from the west, so lenticular clouds will most often be seen east of the hills. ‘Untrapped mountain waves’ lead to thick high cirrus which can cover the whole sky, such as the classic Canterbury Nor’west arch, which is caused by northwesterly winds blowing over the Southern Alps. Near to the coast there are a lot of salt particles in the air, especially when it’s windy or there are large waves, creating that classic beach haze. Moisture in the air loves to condense on salt particles, and when the wind blows from the ocean onto the land the air will rise and cool, meaning that low stratocumulus – sometimes with drizzle – is more common. 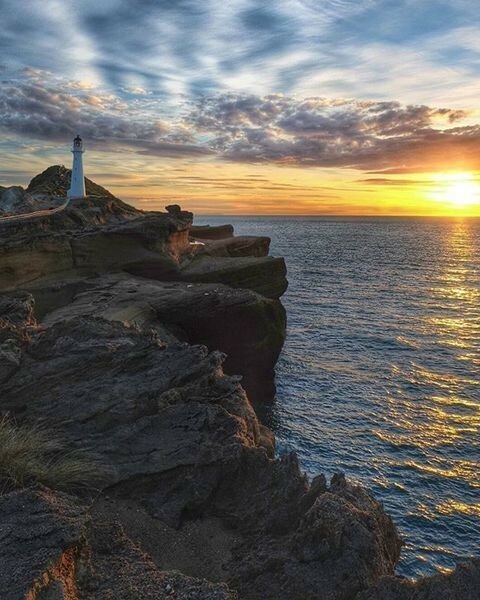 Great sunrises and sunsets can often be seen near the coast, and not just because of the unobstructed horizon. There can often be several layers of cloud – some high cirrus or altostratus aloft from an approaching front, for example, as well as billowing stratocumulus nearer to the surface. The combination of different cloud heights means a range of different orange to red hues in the sky as different height clouds pick up different angles of refraction. Sometimes warm moist air can cool over the ocean, forming sea fog. When the wind blows this fog onto the land then grey, drizzly conditions can persist over the coast, sometimes for several days. 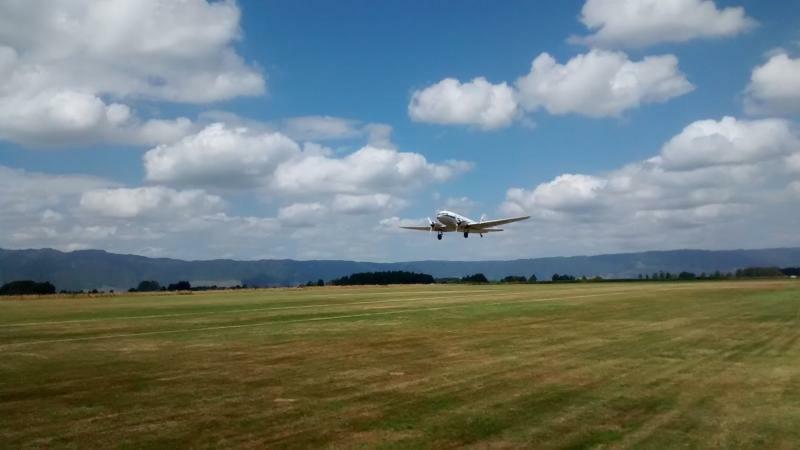 Despite frequent strong winds at Wellington airport, sea fog is far more disruptive for aeroplanes trying to take off or land at the capital, as in this blog post. For inland areas, there is shelter from the winds coming from the ocean. This means that air at lower levels is often drier, reducing the occurrence of stratocumulus. However, on warm days the ground heats up a lot more than the air, creating thermals. Thermals are columns of rising air, and if they rise and cool enough for the water vapour to condense then they can be topped by cumulus clouds. Vigorous thermals can turn into towering cumulus and even cumulonimbus clouds. Cumulus are ‘fair weather clouds’ – the classic puffy white clouds that rise up into a sunny blue sky. Cumulonimbus clouds are bigger versions, reaching up into the stratosphere with an icy anvil shape. Cumulonimbus are thunderstorm clouds, and are most impressive when not hidden by other cloud types or pulled apart by strong winds. So keep an eye out for them on those warm, humid summer afternoons, especially in places like Central Otago or the Central Plateau. You can learn more about convection in this blog post. 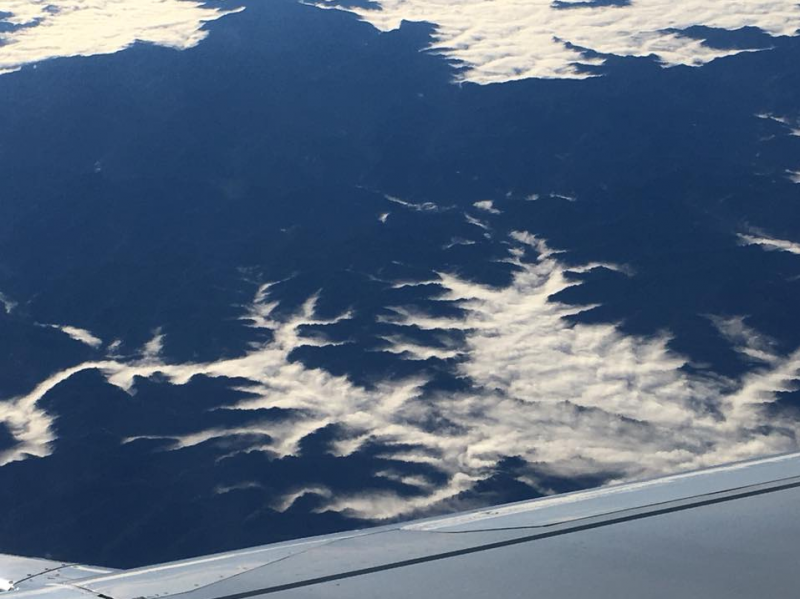 In valleys air can get trapped, and cool overnight leading to valley fog, especially in winter. Sometimes when the bottom of the valley is in fog, the top of the surrounding hills can be in bright sunshine. The top level of the fog is known as an inversion layer, because that is a local maximum in the air temperature – above and below which the temperature profile cools down. This makes the air below the inversion layer stay down in the valley, so sometimes the fog can last for days. 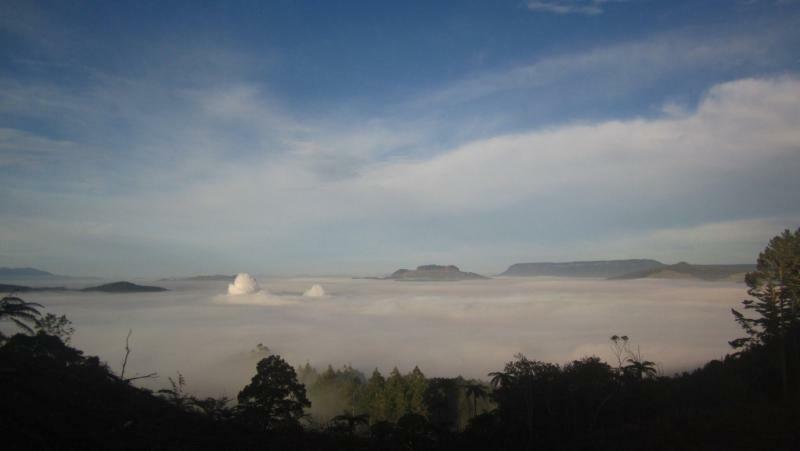 In the image below, Rotorua – which sits inside a volcanic caldera (bowl) – sits below a blanket of cloud. Hot air rising from the hot springs at Te Puia creates the clouds rising up in the middle. In nicer weather, valleys are often the sunnier place to be, while the surrounding hill country is lined with cumulus. Despite some areas being prone to certain cloud types, with the changeable weather in New Zealand most places will get a good variety over time. By travelling around, and using a good guide (like the free MetService cloud poster! ), you can spot the lot!